The seismological observatory NORSAR at Kjeller, Norway, has detected the latest underground nuclear test by North Korea. 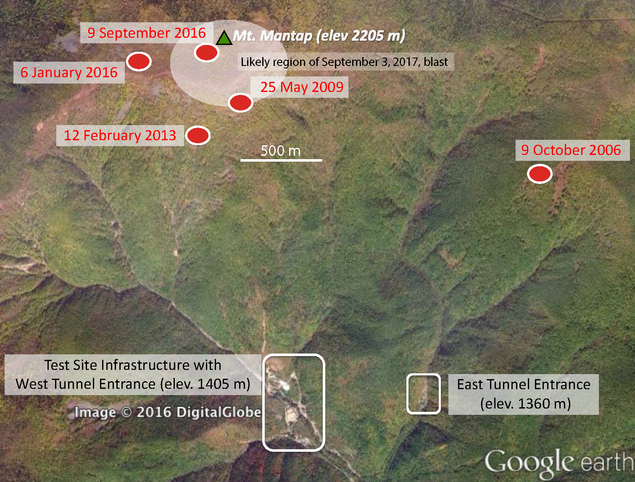 NORSAR has recorded signals from an underground nuclear test explosion conducted by North Korea at its Punggye-ri test site on 3 September 2017. NORSAR has estimated the explosive yield at 120 kilotons TNT, based on a seismic magnitude of 5.8. In comparison, the explosive yield of the nuclear bomb dropped on Hiroshima on 6 August 1945 was estimated at 15 kilotons TNT, while the bomb dropped on Nagasaki three days later was 20 kilotons TNT. 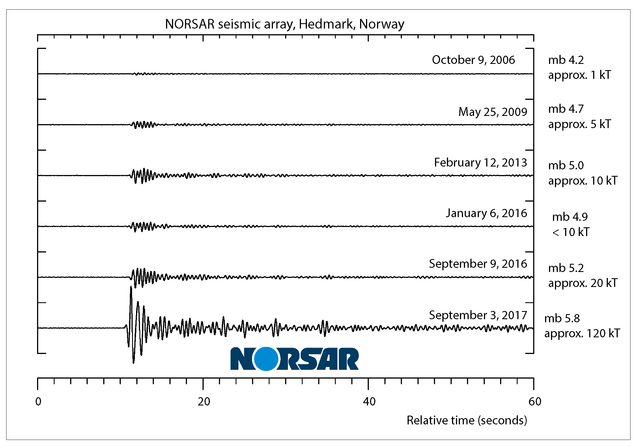 The figure above shows at the bottom the seismic recording of the latest test in North Korea made at NORSAR’s station in Hedmark, Norway. The five upper traces show recordings at the same station for the five preceding tests, conducted by North Korea in 2006, 2009, 2013 and 2016 (two explosions in 2016). Today’s test is as can be seen from this figure clearly the strongest so far. The test site in North Korea is located at a distance of 7360 km from NORSAR’s seismic station in Hedmark. Given that the seismic waves take approximately 11 minutes to propagate from North Korea to Norway, the measurements indicate that this explosion took place at 03:30 UTC. The figure below shows the estimated locations within the Pungggye-ri test site of the five previous tests (red dots). The tests are conducted in the tunnel system inside the mountain. The area of the likely location of the most recent test is indicated in the figure. Some additional work is required in order to estimate a precise location. North Korea claims that this was a test of a hydrogen bomb; the same claim was made for previous tests. It is not possible from the seismic data alone to determine if this was a test of a hydrogen bomb, but we can say in general that the credibility of the claim increases with increasing explosive yield. Possible leakage of radionuclides may be registered later and may indicate the type of bomb. These data may be available in a matter of weeks, if there is a leakage from the test site. The Comprehensive Nuclear-Test-Ban Organization in Vienna, Austria has issued a press release on the occasion of the seismic signals from North Korea today. The press release can be found here. High-res versions of the illustrations shown in this press release can be found below. 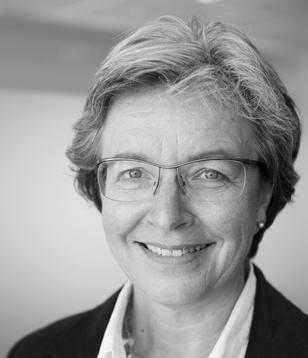 For more information, contact NORSAR CEO , mobile +47 97 79 49 66.